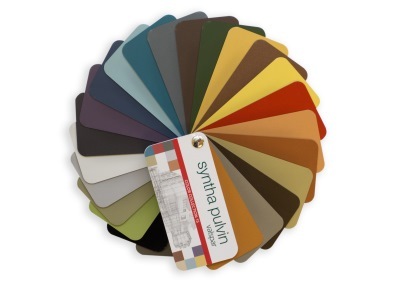 Syntha Pulvin offers a wide range of standard colors. Order a sample with the click of a button by clicking a swatch below. *Computer screens and printers vary in how colors are displayed. Colors which display on the screen and printed colors may not match the paint's actual color. Looking for more product information? Contact us. Syntha Pulvin can be manufactured in any RAL, BS or NCS color. The colors below are made-to-order, please contact us today for more information. Valspar's ongoing commitment to innovation includes consistently creating and compiling new color collections that bring your designs to life and give you the confidence that the palette you choose today will remain relevant 20 years from now. Color Collection 15 includes superior performance architectural coatings colors carefully selected by Valspar's color experts. All Valspar® powder coatings fully comply with the criteria and standards set by the GSB Master Quality specification and QUALICOAT class 2. For more than 200 years, Valspar has been a leader in the art and science of coatings that excel in both beauty and function. The Color Collection 15 represents a major breakthrough in powder-coating technology focused on eco-friendly products designed for the architectural market. Color Collection 15 makes our cumulative knowledge of architectural color trends available to you. Valspar-Inver has developed the Color Collection 15 with the scope to convey emotion, define global cultures, awaken the spirit, stir the soul, embellish desires, and, finally, help all of us to evolve into the realm of color. If you would like a sample mailed to you, please provide us with the following information or contact us. Tip: This code refers to the specific color you selected previously in the library. Yes, I would like to receive updates, special offers and other information from Sherwin-Williams. We value your privacy.